No matter how careful you are, at some stage your beautiful carpet, rug or mat is going to get stained. 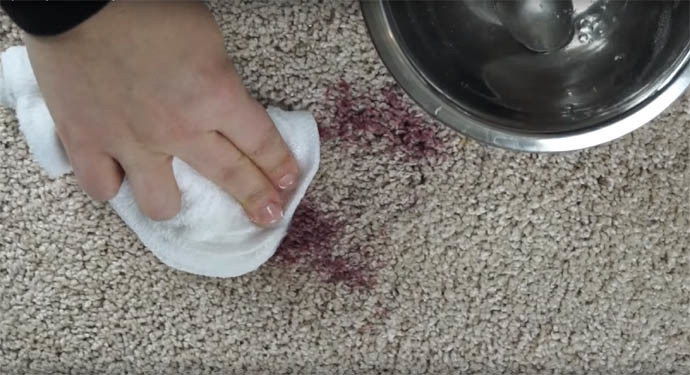 Whether you walk dirt on to your carpet or knock over a drink, these annoying spills and stains are inevitable at some stage around your home. Don’t panic, I’m going to help you clean them up and make them disappear with my carpet cleaning tips & solutions. The key to successfully removing a spill or stain is speed. The faster you take action, the better chance you’ll have of getting it completely removed. 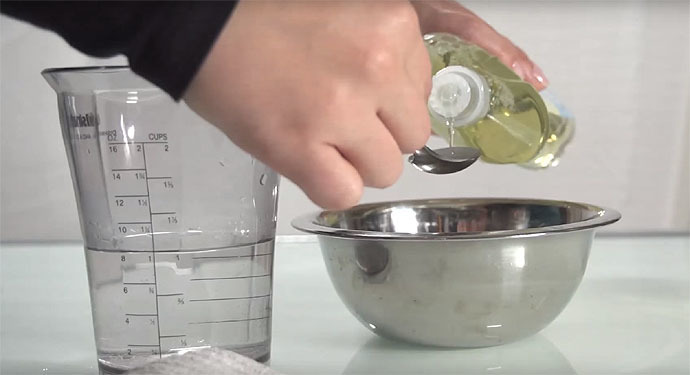 Create the homemade cleaning solution. 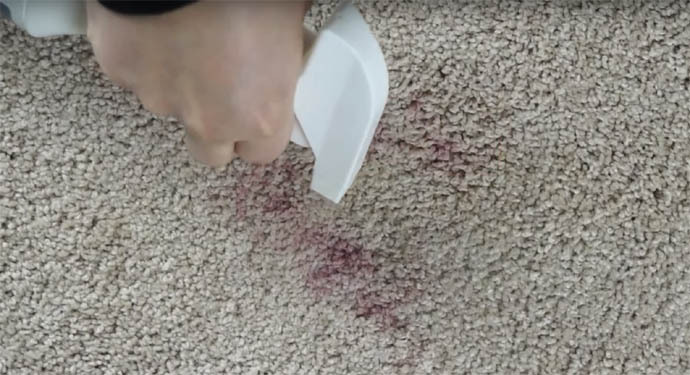 Use the correct cleaning techniques for removing the stain. You can prepare your DIY homemade cleaning solution by mixing half a teaspoon of clear dish-washing detergent with a cup of warm water. 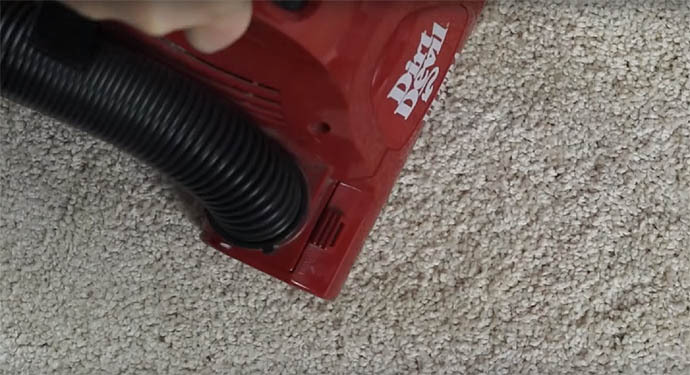 Before you embark on your carpet cleaning and stain removal journey, there are three important techniques you’ll need to master. Depending on the type of stain you’ll need to scrape, blot or apply water/detergent. Gently scrape over the soiled area with an knife or the back of a spoon. Gently scratch from the outside edge of the mess moving towards the center to remove all the sticky or lumpy pieces. Have a towel handy to scrape the mess on to. There are two methods you can use to apply water to the stain. 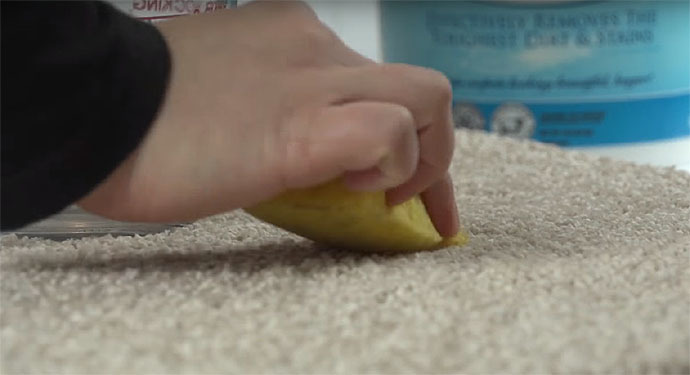 Dampen a clean sponge or white paper towel with water and then moisten the stained area of the carpet. Use a dabbing motion and don’t rub. Take care not to soak the carpet too much as this can damage the fiber and the backing. You should also use this techniques for applying the homemade cleaning solution. 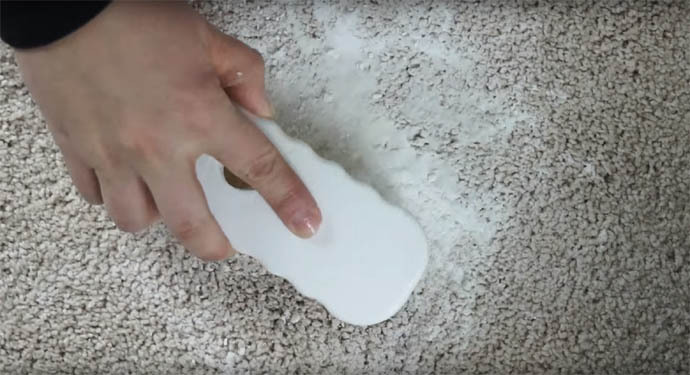 Blotting allows the excess liquid to be absorbed from the carpet. Press down on a piece of dry paper towel or white towel over the stain. Don’t rub the stain, just soak up all the liquid. 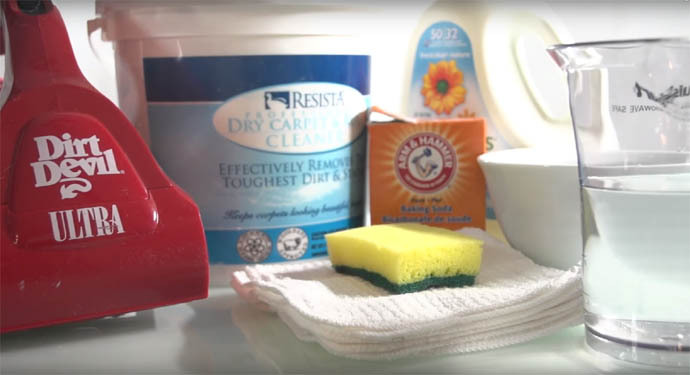 You may also need to use this technique at the end of your cleaning process to dry out the remaining moisture. A good tip is too use some books to weigh down a bunch of paper towels overnight for maximum absorption or use dry carpet cleaning powder. 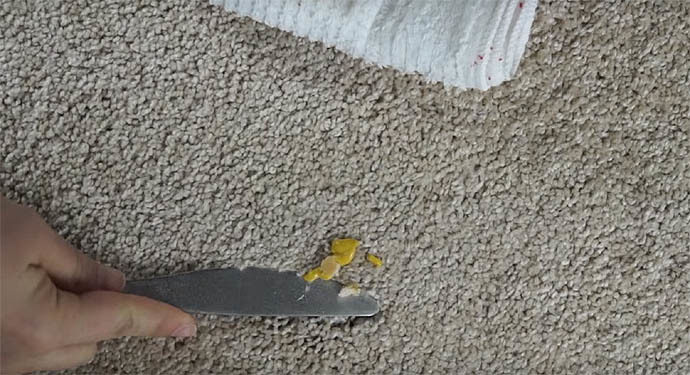 How To Remove Any Stain From Your Carpet! 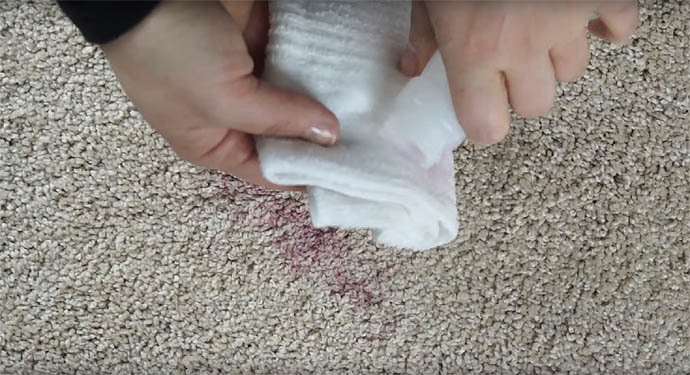 You can use this method to remove nearly any stain or spillage on your carpet or rugs. It even works on car interiors such as mats and carpet. 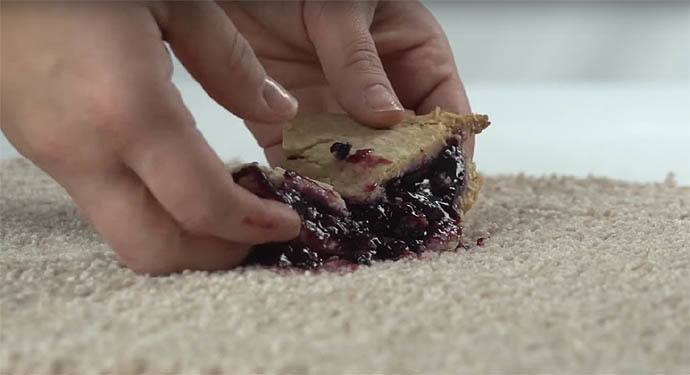 Let’s use Blueberry Pie as an example that you’ve just dropped on your nice clean floor. Step 1: Remove the larger pieces of the Blueberry Pie by hand. Step 2: Use the scrapping method to clear away any excess lumps and jam. Step 3: Apply the homemade cleaning solution to the stain using the dabbing method. Step 4: Soak up any excess liquid using a towel and the blotting method. Step 5: Apply some white vinegar to the stain being careful not to make it overly wet. Step 6: Absorb excess moisture using the blotting method again. Remember dab, don’t rub! Step 7: Use a carpet cleaning stain removal spray for heavily soiled and stubborn spillages. Step 8: Rinse off stain remover with warm water using a sponge. Step 9: Dry well and absorb any left-over moisture with a towel. Step 10: Apply a dry carpet cleaning powder with a soft brush allowing it to absorb any remaining liquid or moisture. 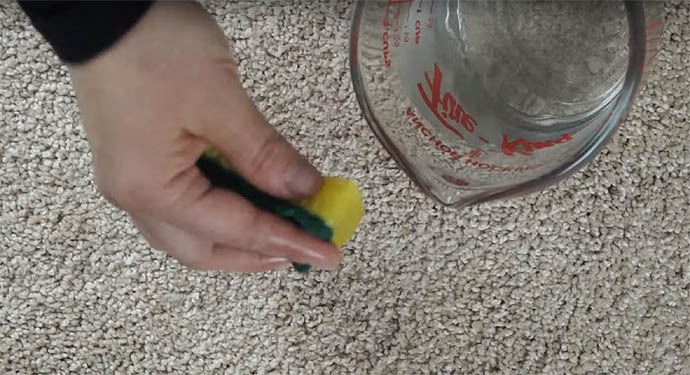 Step 11: Vacuum dry powder from carpet and repeat steps 3-11 for stubborn or ground-in stains or dirt if necessary. Using these methods you should be able to confidently remove any stain from your flooring. They are particularly useful for removing lipstick, soft drinks, popsicles, coffee, tea, mustard, chewing gum, mud, kids paint, chocolate, pet poo, beer, fruit juice, red wine, ice-cream, candle wax and pet food. 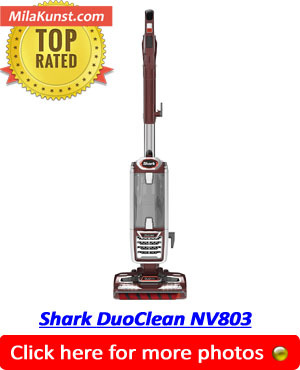 If you have pets, then checkout the best vacuums for cleaning up after your pets here: www.milakunst.com/best-vacuum-for-pet-hair. 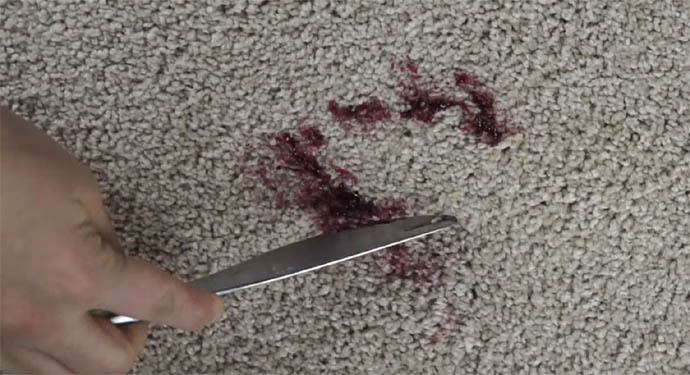 Side Note: Every type of carpet fiber can react differently when being treated for stains. If you have time I recommend you contact the manufacturer of your carpet to find out their suggested maintenance guidelines. 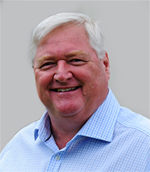 Failure to follow their recommended guidelines may void any guarantee or warranty you may have. It is also good practise to test your cleaning methods on a sample or discreet area of your carpet before needing to use it on a stain.